Paris – Travel. Garden. Eat. 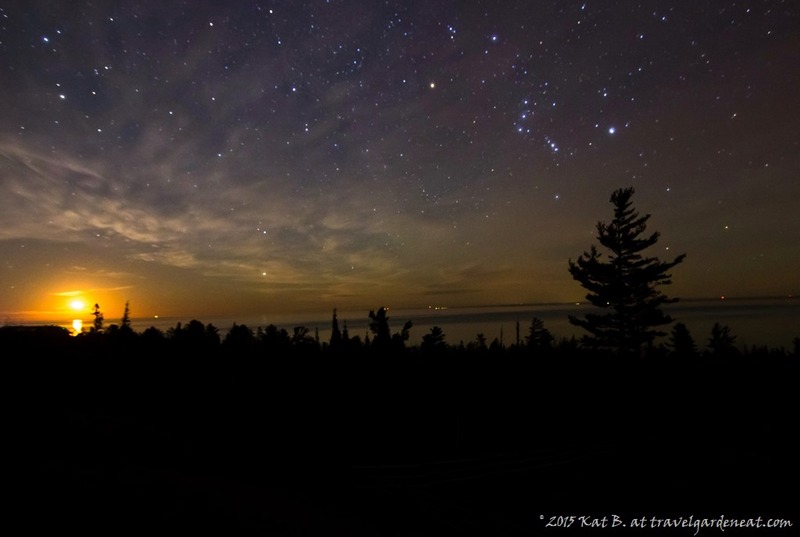 Looking across Lake Superior as the moon rises, stars filling the sky, no sound but the wind in the trees, and deer rustling in the woods … it is difficult to imagine the world could be anything but at peace on evenings like this. John Lennon’s song “Imagine” contains timeless words and hope for peace, which is why this video and story of the pianist playing it outside the Bataclan in Paris went viral. It is difficult to imagine ways everyday people like myself can contribute toward world peace in a meaningful way. All the supportive Facebook posts, changed profile pictures, and tweets of solidarity do little to effect change halfway around the world. I am not so idealistic to think that a single individual can turn the ugly tide of the extremist movement. I do believe, though, that an individual can create a ripple of change, promote a glimmer of hope and understanding that touches another individual, or perhaps a few. And that those few, in turn, can reach out to more, spreading tolerance and a curiosity of other cultures and peoples that drives a desire for learning how we are more alike than not. Let words and prayers for peace turn into action. Let the dreamers come together and turn dreams into reality. Let us not forget the people touched by the tragedies in Beirut, in Baghdad, in Paris …. 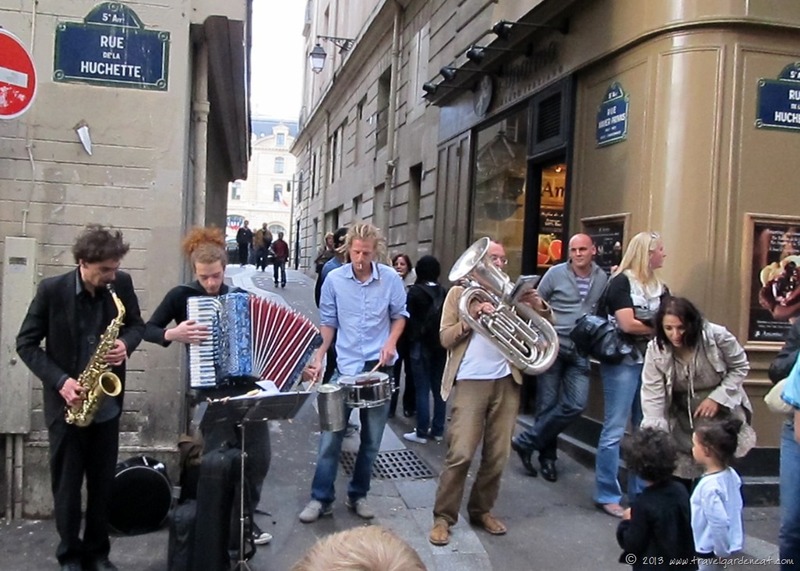 During the summer of 2011, we enjoyed a whirlwind “highlights” tour of Paris, staying there for three nights on our way to Rome for the balance of our travels. Food is always an essential part of our travel experience, and we tried sampling a variety of offerings in Paris during our limited stay. 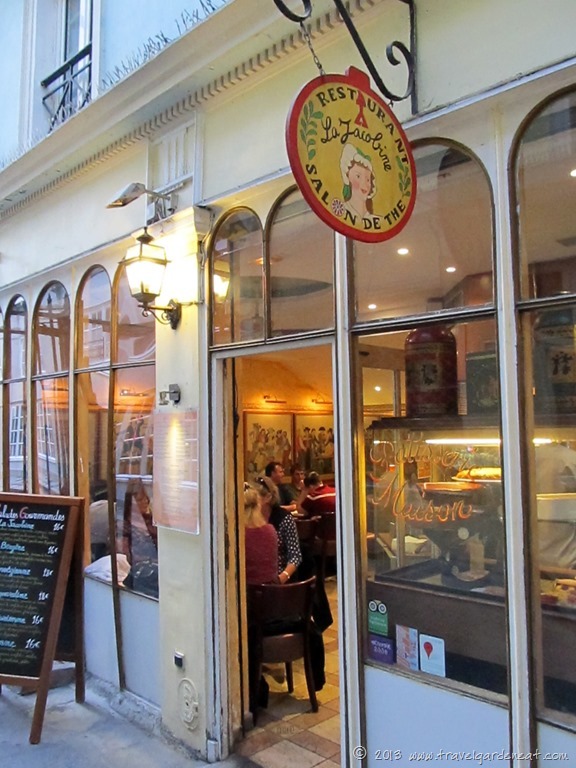 One restaurant topped my entire family’s “favorites” list, though: La Jacobine. 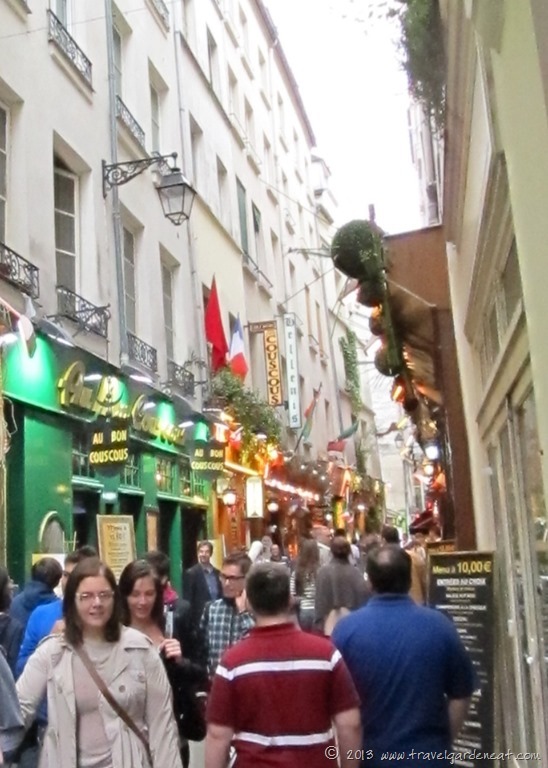 Our hotel was on the Left Bank, in the Latin Quarter area of the 6th arrondissement. The neighborhood was a comfortable fit for us with a relaxed vibe. 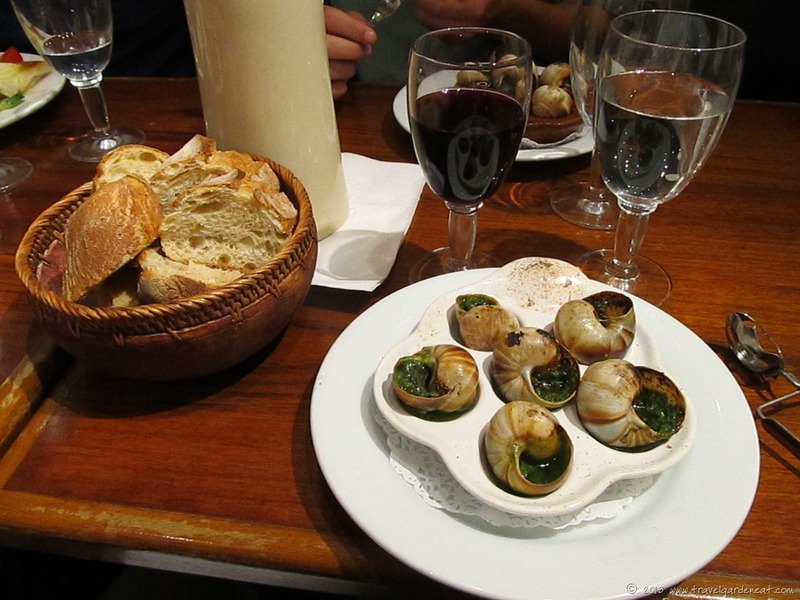 Our boys have always enjoyed escargot, so of course, we had to have the classic French appetizer while in Paris. La Jacobine served it up perfectly, and we enjoyed the company of a Scottish couple at the table next to us as we shared travel stories and adventures from home. The restaurant was tucked down a side alley, with a warm and inviting atmosphere that was not forced or pretentious. The service was friendly, and we did not feel rushed as we enjoyed a dinner of simple but savory fare. 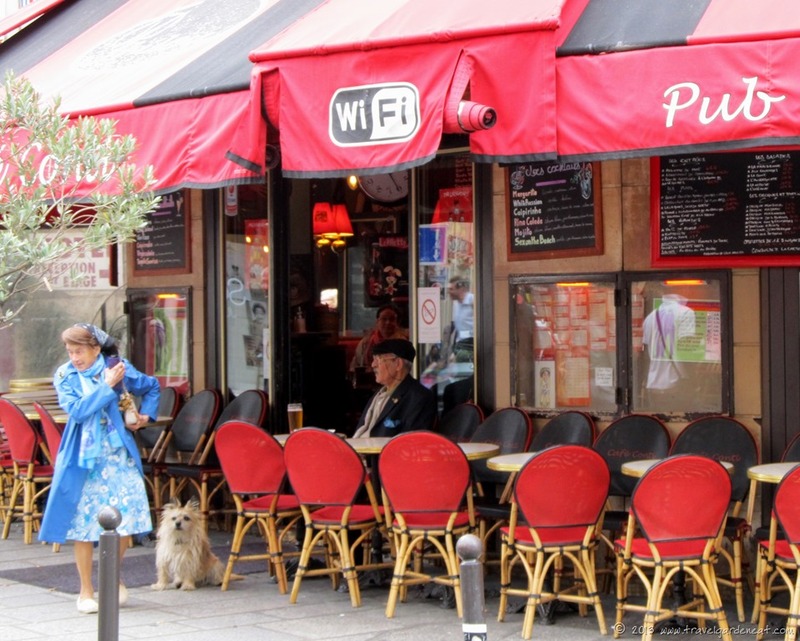 La Jacobine was the perfect spot to unwind after a busy day of sight-seeing. 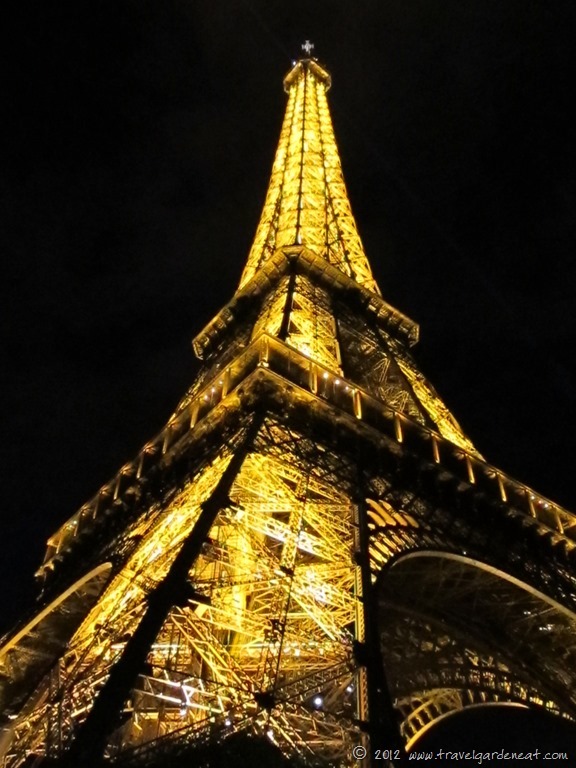 A person cannot help but look up when standing at the base of the classic icon of Paris – the Eiffel Tower! Join in Ailsa’s Weekly Travel Theme at Where’s My Backpack? with this week’s theme of “Up.” Details on how to participate and other responses to this week’s theme can be found here. Music has always held a special place in my heart, filling me with emotion and triggering memories like nothing else can do. Perhaps that is why one of my favorite experiences from our trip to Paris was attending a chamber music concert of the Eiffel Orchestra at La Sainte-Chapelle. The concert gave me the privilege of sitting in the stunning beauty of La Sainte-Chapelle’s surroundings, soaking in the incredible detail of her famed stained-glass windows while letting the music fill my soul (and the sanctuary) with pieces of Vivaldi, Bach and other classics heard innumerable times, but never sounding quite as lovely as they did in that setting. 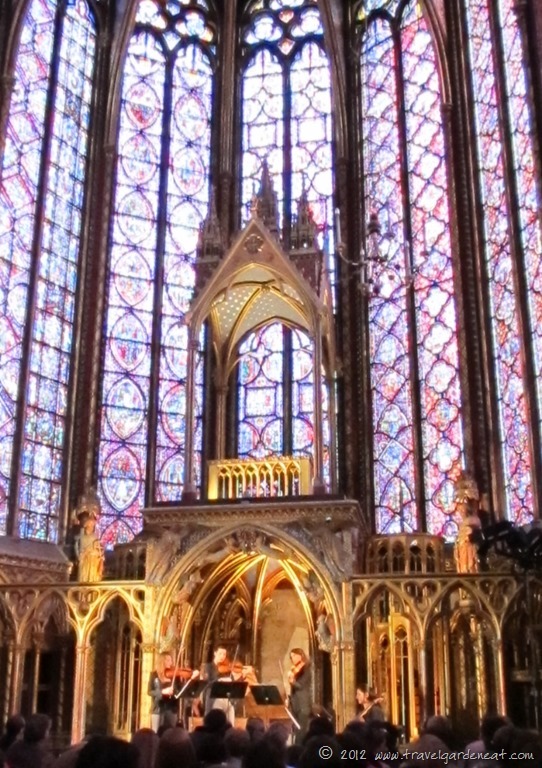 La Sainte-Chapelle was Louis IX’s “Holy Chapel” constructed in the 1200’s. The structure consists of a Lower Chapel and Upper Chapel. We did not have a chance to tour the Lower Chapel during our visit. Of the 15 stained glass windows in the Upper Chapel, where the concert took place, two-thirds are original to the structure. The windows portray over 1,100 figures from the Bible. During World War II, the extensive stained glass windows were all removed from the building in anticipation of the German invasion of Paris, and then reinstalled upon the conclusion of the war. A lovely summer evening in Paris, as the sun filtered through magnificent works of art, and timeless music was performed . . . the experience was wonderfully overwhelming, and I could feel every one of my senses trying to absorb as much as possible to remember that hour of perfection for years to come. You can view the photos as a group or click on any of them individually to view as a slideshow. A glimpse of her beauty. The view looking up from my seat. The 15th century rose window. An hour to sit and absorb this beauty. One of the twelve apostles statues. Exiting the Palais de Justice gates. If you have the opportunity to attend a concert, try to purchase tickets for a performance time when there is still sunlight, to fully enjoy the stained glass details. Arrive early (recommend 30 minutes+), even if you have pre-purchased tickets, as the line moves slowly. CD’s of the group performing that evening may be sold after the concert (the Eiffel Orchestra’s CD included most of the pieces they played during the performance we attended), so allow time for purchase and autographs by the artists, if you are interested.